Now experience fine dining at Applebee's with Applebee's discount gift card. Make it your wallet partner at that much awaited family dinner or be it a reunion with college fellows; take in style at Applebee's. From salads to pasta, from chicken to shrimps; not to forget their signature dish, 'Riblets;' enjoy a sumptuous meal at highly discounted prices. 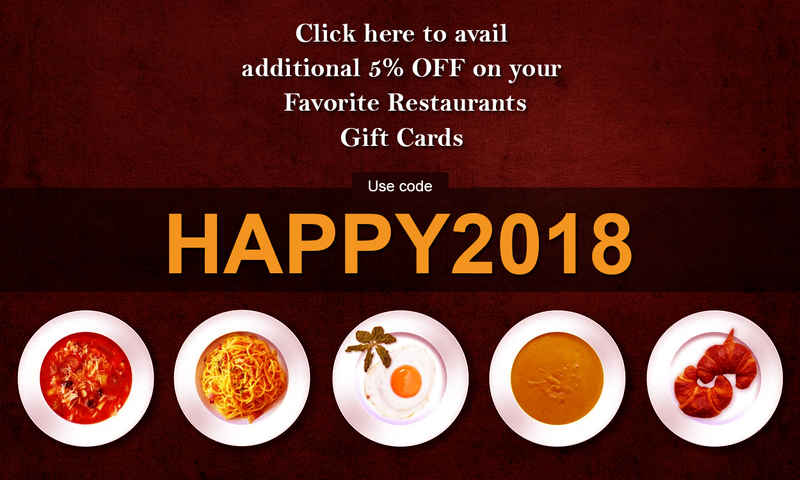 These gift cards also make the perfect gift for your parents, friends or anybody dear to you. So save more and spread happiness with Applebee's gift cards at Gift Card Spread.